Our Personal Injury Case Management system enables users to improve the overall productivity of their firm. It helps you increase the number of claims a fee earner can handle efficiently. It has full portal integration and reduces the time taken to process a claim to its conclusion. Our personal injury software also reduces the number of support staff required and enables them to become fee earning paralegals. In addition, customer satisfaction increases as clients are kept updated and queries are answered quickly and accurately. DPS Outlook Office/OneOffice works in conjunction with the new electronic portal which supports the processes now agreed in conjunction with the Ministry of Justice to enable faster agreement on liability and payment of low cost RTA injury claims (between £1,000 – £25,000). The portal will enable electronic exchange of all relevant claim information and related documentation. Our Personal Injury software requires information to be input on the matter only once, eliminating repetitive routine typing and manually searching for information. 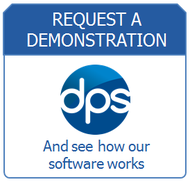 The DPS system allows documents and forms to be printed automatically on plain paper with all case details completed. This removes the need for pre-printed stationery. When documents and forms are prepared in this way, the cost involved with printer management and high storage space requirements are removed. All documents produced by the Personal Injury Case Management System are automatically costed, time recorded, tracked and document managed. The workflow process automatically creates and completes tasks, ensuring efficient task management. Supervisor users can view tasks for other users and take actions on behalf of them or assign tasks to other users. If you would like further information on our Personal Injury Case Management System, or would like to arrange a NO-OBLIGATION demonstration, please contact us today.